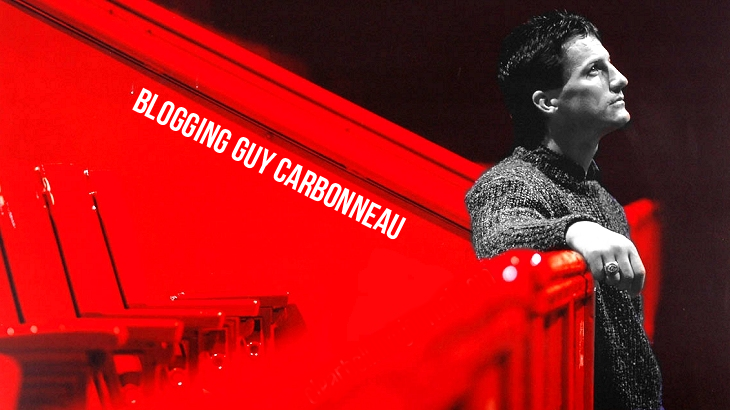 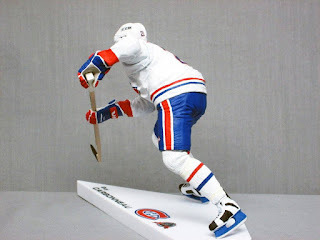 If you've been following this blog for any amount of time, you will know that I have long bemoaned the fact that McFarlane Toys never chose Guy as the subject of one of their hockey figurines. 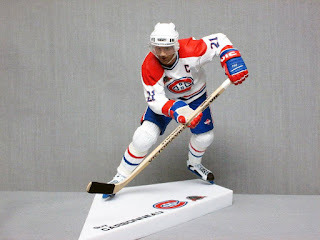 However, there are customizers out there who take existing figurines and make them into whatever players they choose. Hockeycustoms is one such customizer. 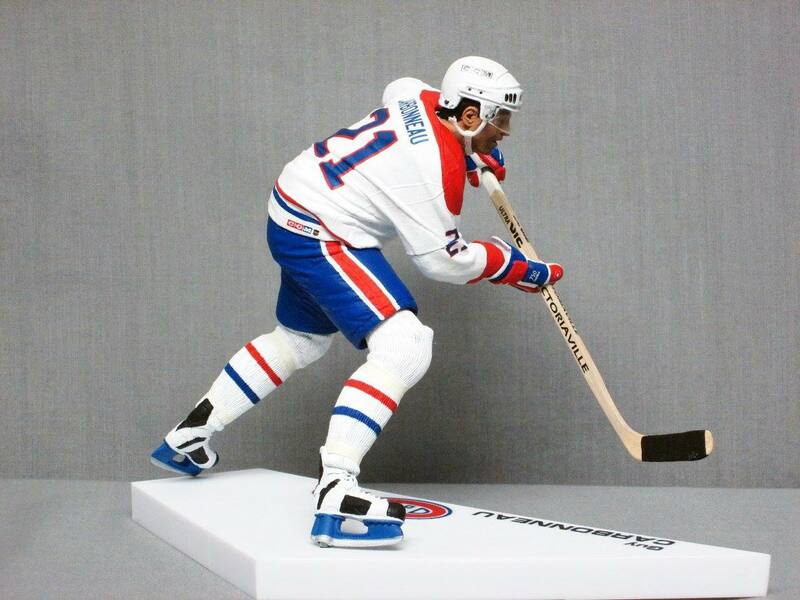 I discovered on Twitter recently that they made a figurine of Carbo! With permission, I'm featuring the figurine here. 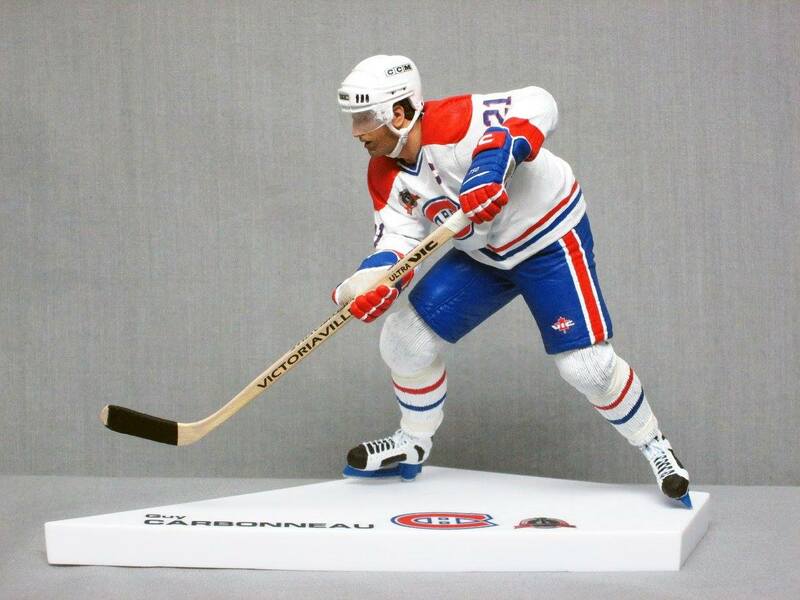 As stated on the Facebook page, "For this custom of former Canadiens captain Guy Carbonneau I used a McFarlane series 4 [Brendan] Shanahan figure as the base and did a straight repaint, only adding a visor." 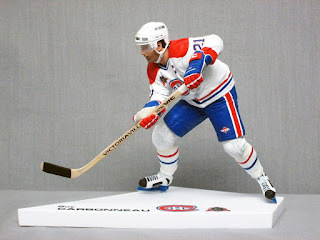 What I can't get over with this figure is the detail. 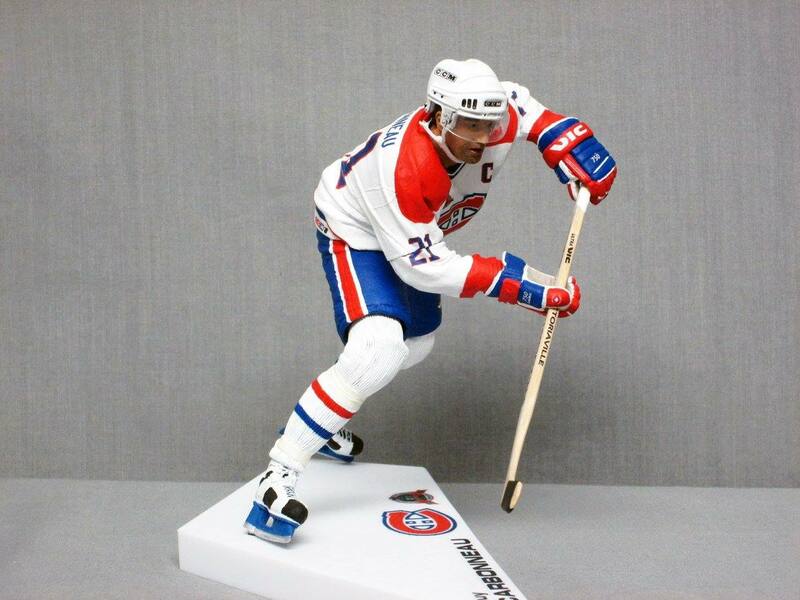 Even Guy's signature CCM Tacks skates are perfect, as is the Victoriaville stick that he used during this era. 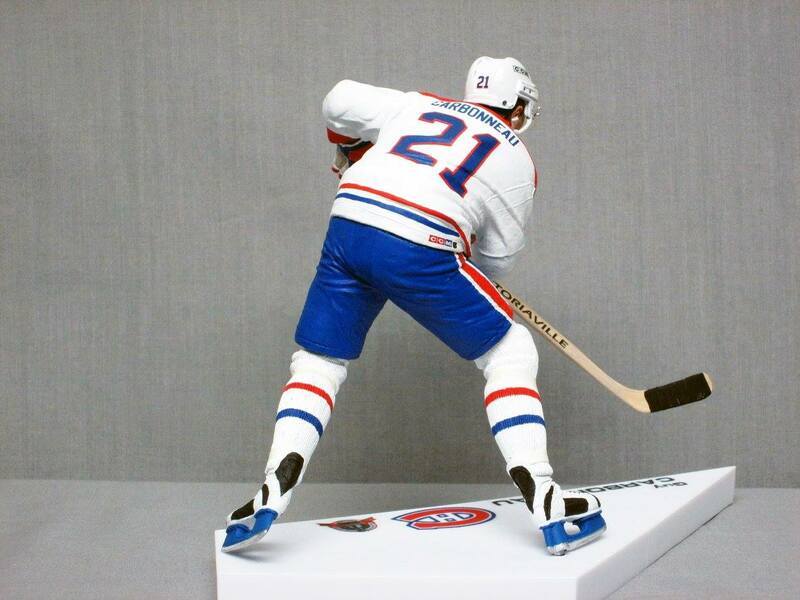 Do check this customizer out, their Facebook page features many other amazing figurines and they do awesome work!